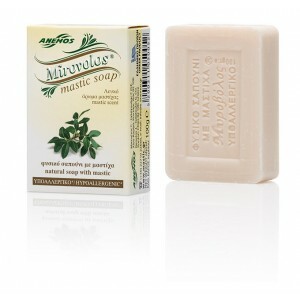 Natural soap with mastic. The classic one. With mastic scent. The best combination of cleansing and hygiene. 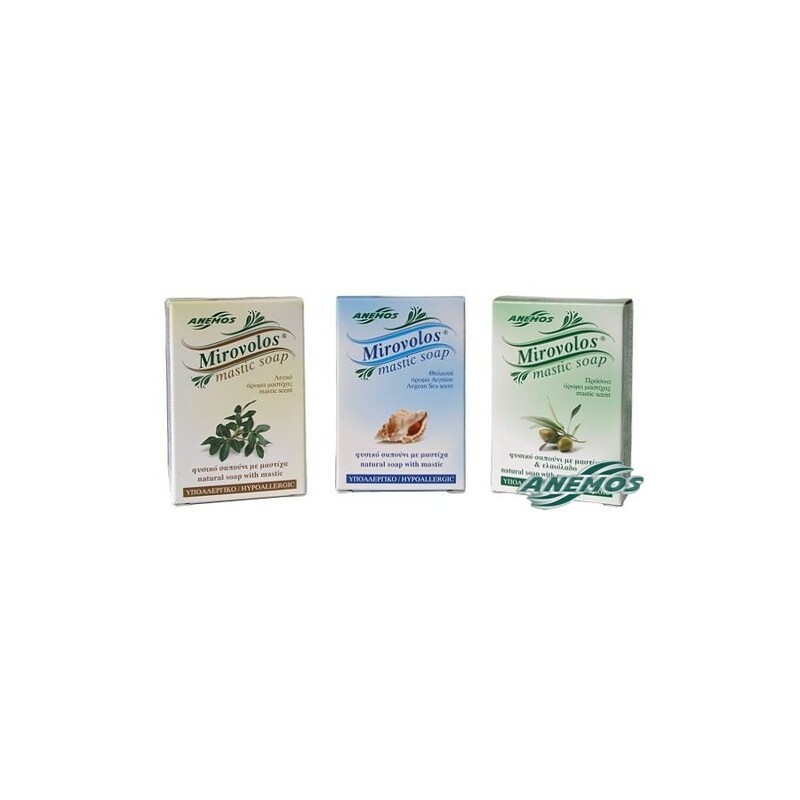 These soaps are made from purely natural, plant derived ingredients and they are enriched with a special formula which contains mastic oil. They are very mild, with no chemicals used, but very effective in cleaning. 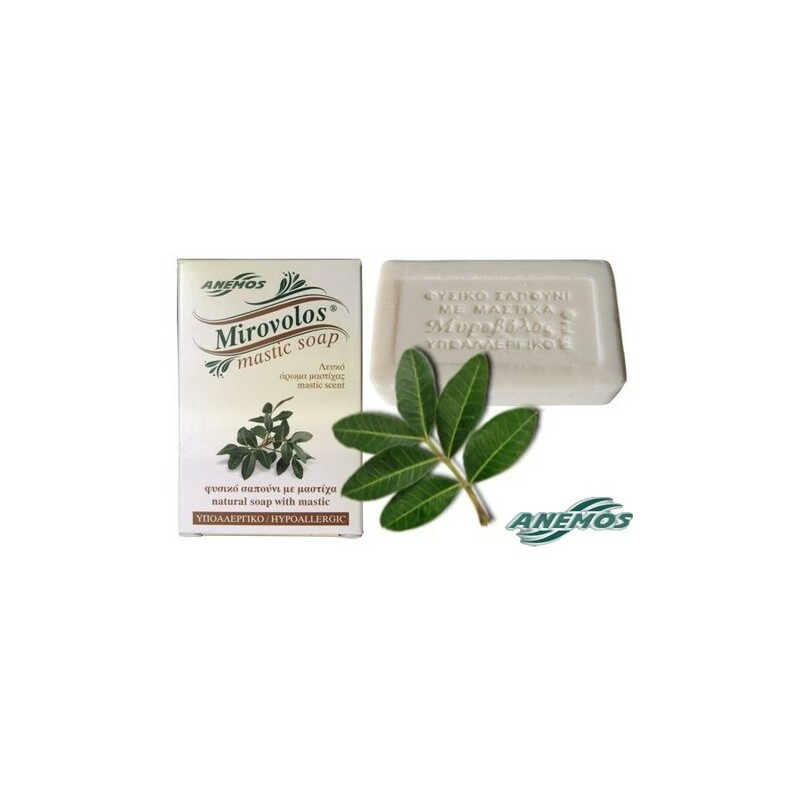 Mirovolos soaps are ideal for people that suffer from allergies, for those that have dry or sensitive skin, or for those that are looking for the best care for their skin. With mastic fragrance. For all skin types. If you are looking for the best soaps, look no further. 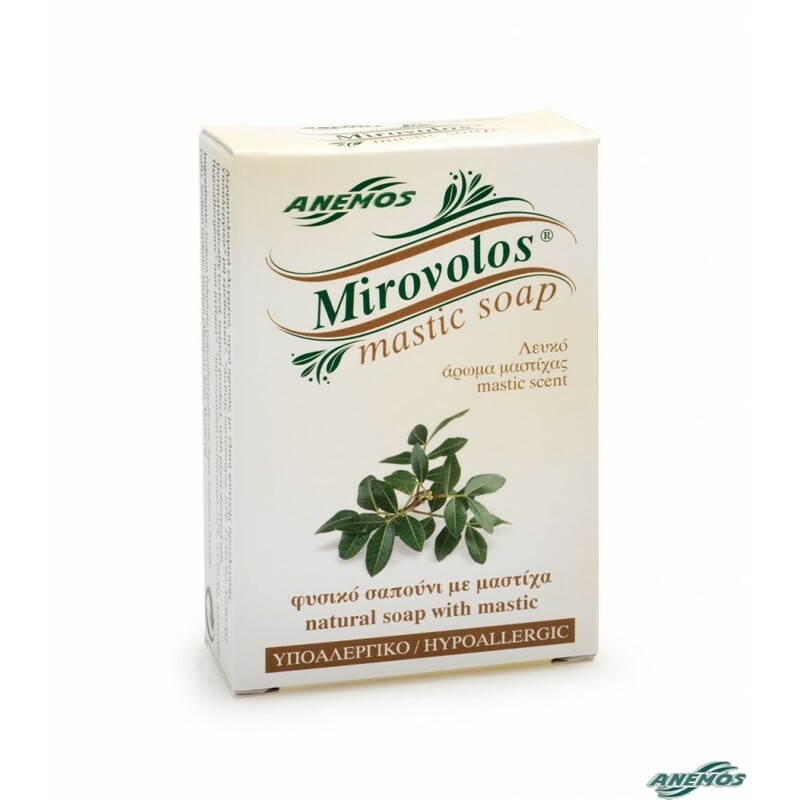 The best possible choice is Mirovolos (with mastic) or Mastic & Herbs (with mastic and herbs as the name suggests). Pure natural products with mastic and mastic oil. After many years of research we managed to create these soaps that we believe they are the best. A lot of soaps are made from animal fats. 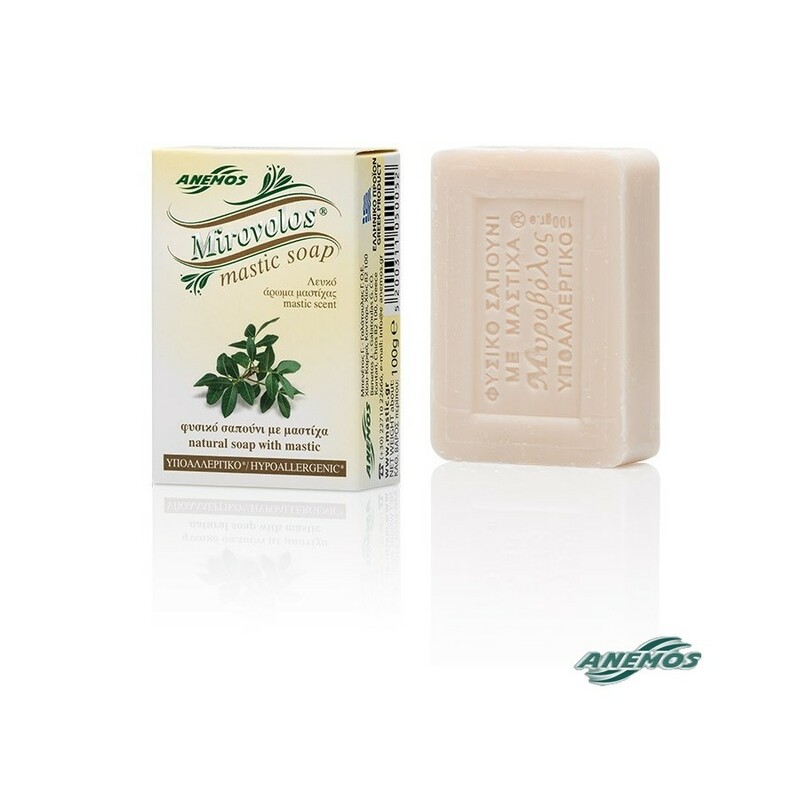 Our soaps are made exclusively from plant derived ingredients. 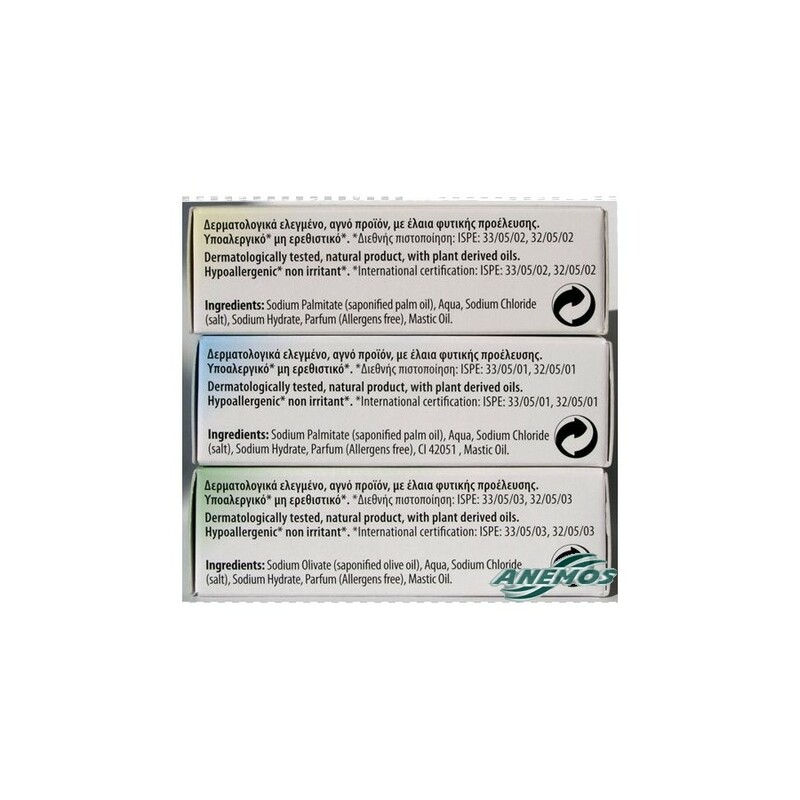 Hypo allergic, ideal for people suffering from allergies, for sensitive skins, or just for those who are looking for the best. They produce luxurious rich lather, and they last long time. They are suitable for all skin types and can be used for the face, body, for sensitive areas or for children.